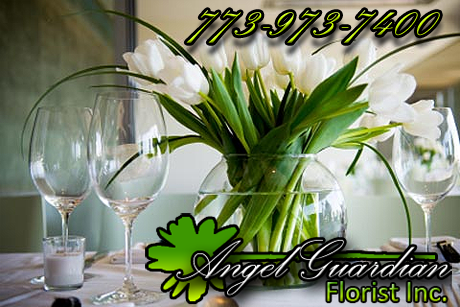 Angel Guardian Florist, Inc. offers the largest variety of the most beautiful aromatic wedding flowers, floral arrangements, bridal bouquets, centerpieces, and corsages in the greater Chicagoland area. Flowers are a crucial aspect of your wedding. And we guaruntee that our floral design will uniquely reflect the season, setting, and personal style of your wedding to your absolute satisfaction. Our professional wedding designers arrange the freshest flowers and foliage to create the most elegant floral displays for your special day. Whether you are planning a large over-the-top wedding, a natural outdoor ceremony, or an intimate event in a private home, our 100 years of full-service Floral Planning history ensures you one less task you need worry about for your wedding.